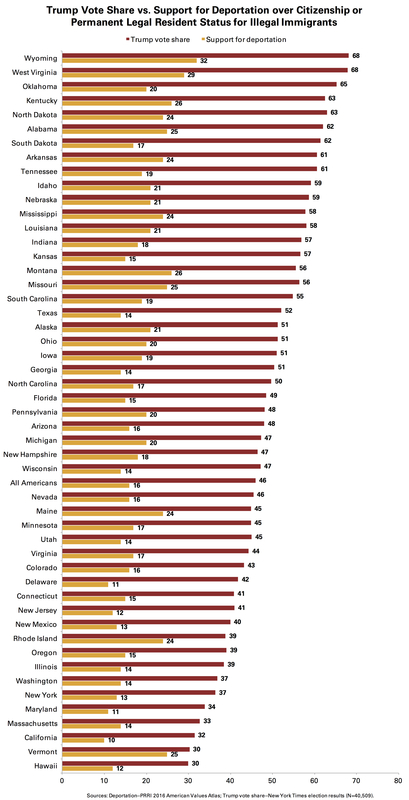 As PRRI’s Robert P. Jones notes in his latest Atlantic article, there is no state in the country in which a majority prefers deportation as the solution for immigration reform. 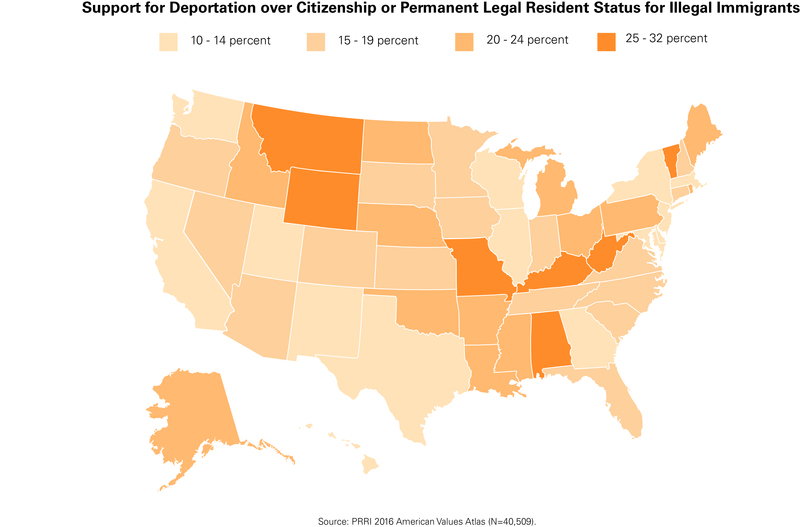 Here’s where residents from all 50 states stand on deportation. The state with the highest support for deportation as a response to those living in the U.S. illegally is Wyoming, a state that also had the highest share of support for President Donald Trump (68 percent). But the number of Wyoming residents who prefer deportation is nowhere near a majority—fewer than one-third (32 percent) support the option. West Virginia (29 percent), Kentucky (26 percent), and Montana (26 percent) offer the next highest support. For more, read PRRI CEO Robert P. Jones’ Atlantic article and the PRRI/Brookings immigration report.